NASA’s Juno Spacecraft successfully completed a close flyby of Jupiter and its Great Red Spot on July 10, during its sixth science orbit. 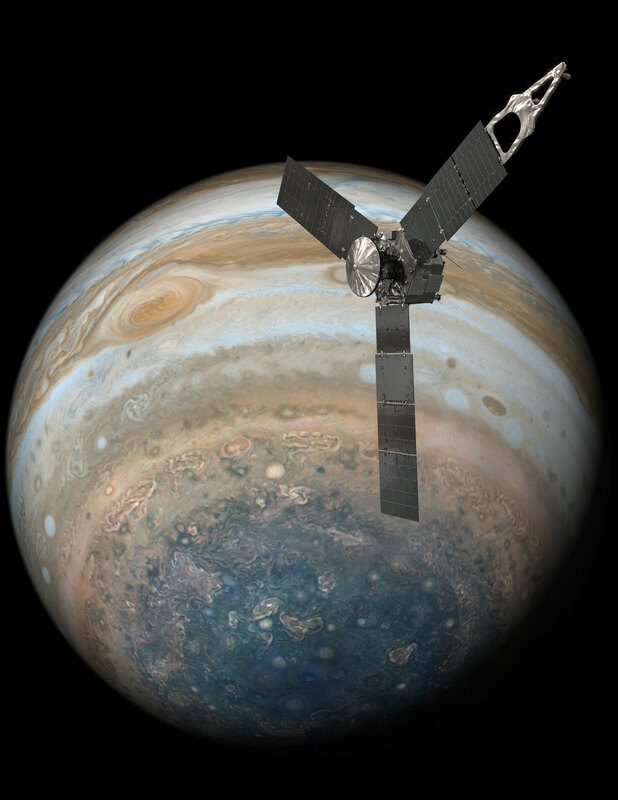 All of Juno’s science instruments and the spacecraft’s JunoCam were operating during the flyby, collecting data that are now being returned to Earth. 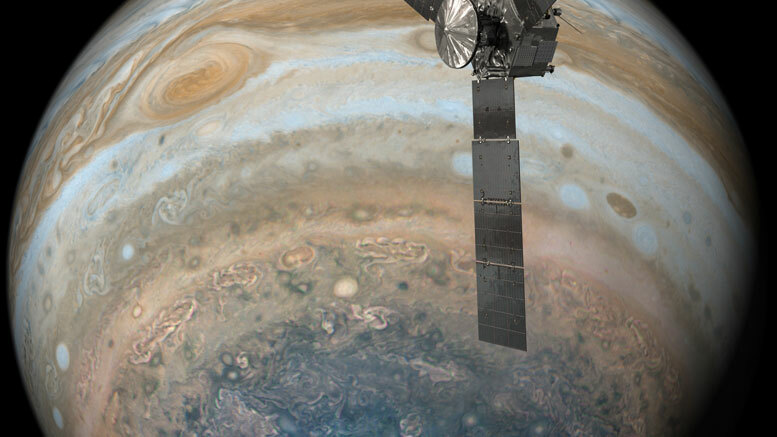 Juno’s next close flyby of Jupiter will occur on September 1. Raw images from the spacecraft’s latest flyby will be posted in coming days. The Great Red Spot is a 10,000-mile-wide (16,000-kilometer-wide) storm that has been monitored since 1830 and has possibly existed for more than 350 years. 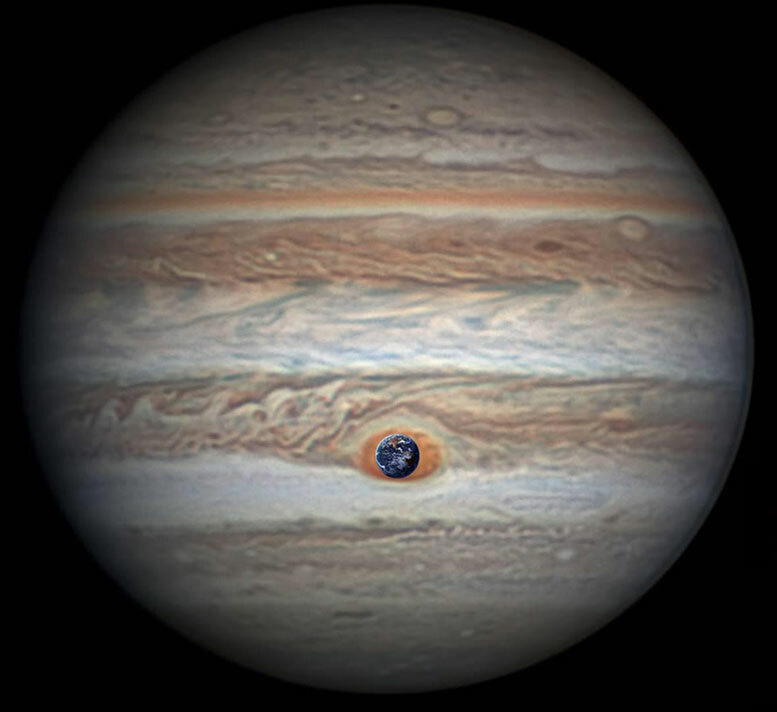 In modern times, the Great Red Spot has appeared to be shrinking. Juno reached perijove (the point at which an orbit comes closest to Jupiter’s center) on July 10 at 6:55 p.m. PDT (9:55 p.m. EDT). At the time of perijove, Juno was about 2,200 miles (3,500 kilometers) above the planet’s cloud tops. Eleven minutes and 33 seconds later, Juno had covered another 24,713 miles (39,771 kilometers), and was passing directly above the coiling crimson cloud tops of the Great Red Spot. The spacecraft passed about 5,600 miles (9,000 kilometers) above the clouds of this iconic feature. On July 4 at 7:30 p.m. PDT (10:30 p.m. EDT), Juno logged exactly one year in Jupiter orbit, marking 71 million miles (114.5 million kilometers) of travel around the giant planet. Be the first to comment on "Juno Spacecraft Completes Flyby of Jupiter and Its Great Red Spot"